I think I have 10+ lip balms on rotation at any given time. I seriously am addicted to lip balms and I can't do without them! The air conditioning at work is terrible so I stockpile them in my work drawer, I also keep 5 in my handbag (along with lipsticks and glosses!) and another few on my bedside table. Crazy I know! I enjoy using Kiehl's products but I'd never tried their lip balms so I was excited to be given the opportunity to try out their Lip Balm SPF 15 in Black Raspberry Hue no. 58B. There is also a great offer from Kiehl's for Aussie ladies so read on! "A traditional base formulated with the latest technology, this emollient balm helps to moisturize and soothe dry, parched lips with skin conditioning agents as Sweet Almond Oil, Wheat Germ Oil, Aloe Vera and Squalane. SPF 15 sunscreen provides UVA and UVB protection." Black Raspberry Hue 58B is a sheer lip balm with cool red tones. It contains SPF 15 sunscreen which provides UVA and UVB protection which is essential for us Aussie ladies! There's a slight scent and it's packaged in a handy tube with a slanted tip applicator to help with application. The lip balm looks SUPER dark in the tube but it's actually quite sheer once applied. Lip Balm SPF 15 in Black Raspberry Hue no. 58B. 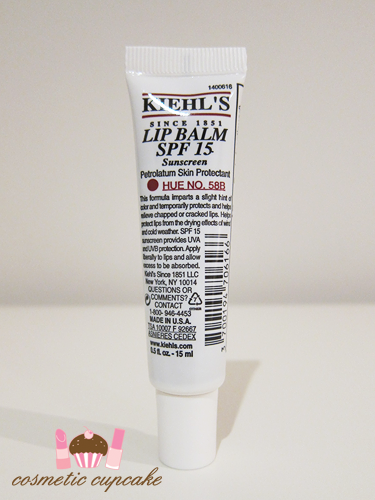 Overall: Sun protection is so important here in Aus and I really love that Kiehl's Lip Balm SPF 15 Hue no. 58B contains SPF 15 to help protect against sunburn as not many balms have SPF. 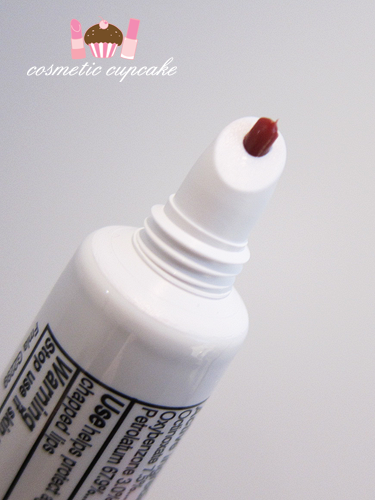 The balm feels nice on the lips as the formula isn't sticky at all and it applies smoothly. I also love the slight hint of colour Hue no. 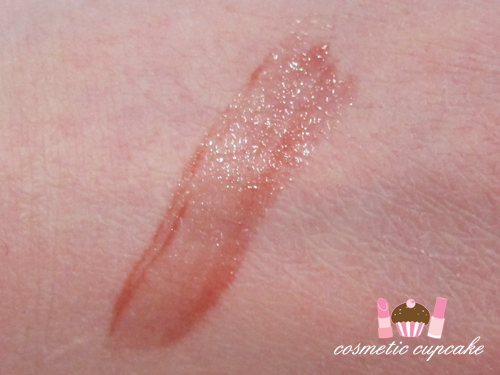 58B gives my lips - a rosy "my lips but better" with a hint of shine. The lip balm is supposed to be unscented but there's a definite funky scent going on. I prefer my balms to be either fruit scented or to have no scent whatsoever like pawpaw ointment. The slanted tip applicator is good for on the application in theory, but as the balm is dark in colour it makes the applicator look really messy which is a little pet peeve of mine. The balm doesn't feel that moisturising unfortunately but the staying power is quite reasonable on me. The main ingredient is petroleum which may not be agreeable to everyone. I'm not hugely fussed honestly but I know that some of my readers may be. Would I repurchase: Unfortunately no. I however am very interested in trying the Scented lip balms!! Especially the Mango and Pear ones mmmmmm. 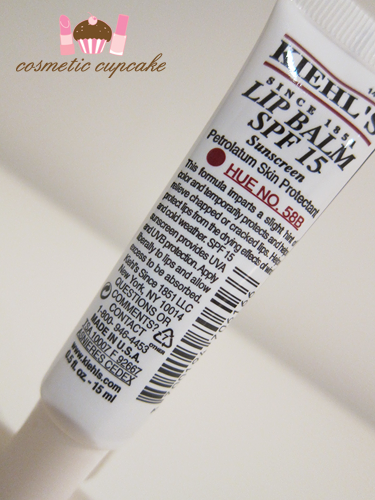 In Australia, Kiehl's Lip Balm SPF 15 in Hue no. 58B retails for $12 and can be purchased from the Kiehl's Aus online store here . A special offer for Aussie readers!! * Samples of Dermatologist Solutions Powerful-Strength Line-Reducing Concentrate with Every. Single. Order. * A deluxe sample of Dermatologist Solutions Powerful-Strength Line-Reducing Concentrate when you purchase a “powerful partner” (Think: Midnight Recovery Concentrate, Double Strength Deep Wrinkle Filler, Abyssine Cream or Whitening Cream). The Mango Lip Balm is SUPER AWESOME!!!! I love it and its super moisturisingggg!